Benefiting most from its new restoration is Kes (1970), Ken Loach's famous British film about a young teenage boy and the bond he forms with a kestrel hawk. It was previously released by MGM in a washed-out, badly framed DVD with a soundtrack re-dubbed by the actors to refine the thick Yorkshire-accented dialogue. Criterion's version restores the mono soundtrack featuring the original production dialogue. The proper framing is reestablished, showcasing the brilliant greens of the fields in which Billy Casper (David Bradley) trains his hawk. Good thing the image is brightened. Otherwise, the downbeat Kes could end up a soul-crushing affair. As is typical for Loach's pictures, Kes casts an unobtrusive eye on Billy's grim, hopeless surroundings in the mining town of Barnsley. While the film conforms to the conventions of the classic coming-of-age story, Loach colors Kes with his unique brand of social realism. Loach addresses the disheartening experience Billy faces both at school—with its conformity-promoting instructors (and a humorous scene-stealing turn by Brian Glover as the P.E. teacher)—and at home, where the boy is caught between a brokenhearted mother (Lynne Perrie) and a self-centered prick of an older brother (Freddie Fletcher). Kes truly soars when Billy is alone with his hawk, feeding him, training him, and flying him to the heights Billy, himself, doesn't even realize he wishes he could. 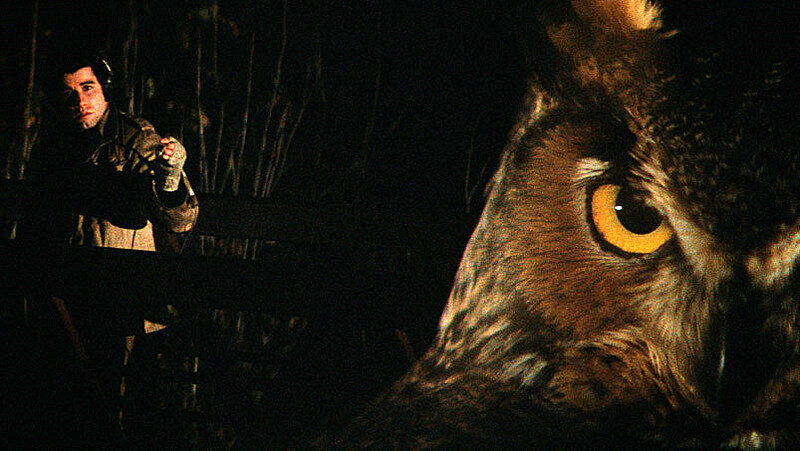 For those brief moments, such as one scene in which a caring teacher encourages the boy to share his passion for the hawk with his classmates, Billy transcends the limitations of Barnsley, and the film takes the viewer with him. 1989's Sweetie, already part of the Criterion Collection, was reissued for the first time on Blu-ray last week. Although the film is a tad overloaded with Aussie—and indie—quirk, it is an ambitious first film from the talented Kiwi director Jane Campion (The Piano). Introverted Kay (Karen Colston) is our heroine, navigating the pitfalls of her new romance with the kind, gentle Louis (Tom Lycos). That is, until Kay's spoiled sister Sweetie (Genevieve Lemon) hijacks her life (and the movie) with her sudden, unwelcome reappearance. Large, prone to tantrums, and decked in scary Goth makeup, Sweetie must always be the center of attention. Kay asserts herself as best she can against her overbearing sister, until their dad (Michael Lake) shows up with the news that he is divorcing their mom (Dorothy Barry). The dysfunctional family and their unconscious participation in the creation of this monster are the most interesting aspects of Sweetie. And Campion carefully balances the inherent humor of the situation with enough darkness—the gradual progression of which culminates in the film's horrifying climax—to create an extremely individualistic film. But sometimes, its reliance on comedic mise-en-scène and camera frames all askew smacks of bargain basement Coen Brothers. Still, Sweetie merits attention as a promising start to the career of one of the few female visionaries working in cinema today. Nearly two years after wrapping up the successful Brian De Palma Blog-A-Thon conducted at this site, I consider Criterion's impressive new Blu-ray release of Blow Out from my regular perch at Wide Screen. One of his most underrated films, Blow Out is a conspiracy thriller in which a movie soundman witnesses a car crash that kills a major political figure. 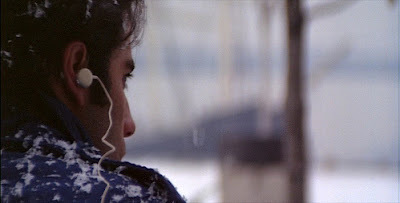 It’s always been a bit confounding that Blow Out, a film that features John Travolta (then at the peak of his Saturday Night Fever stardom) in a grippingly high-strung, dramatic performance, has failed to attract anyone other than the most loyal De Palma devotees. But fans have typically avoided Travolta when he veers outside the narrow range of his “cool” persona. And in Blow Out, his onscreen persona is at its most insecure, with [his character, Jack] Terry melting down in degrees as the audio recording of the accident is erased, his reliability as a witness is questioned, and his ineffectiveness in the face of what looks like a massive cover-up grows larger and larger.